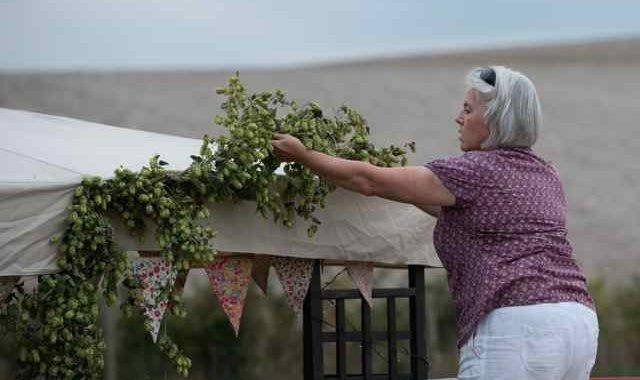 Dried Hop Vines v Dried Hop Bines – What’s the Difference? Dried hop vines v dried hop bines – what’s the difference? There are important similarities they share as growing plants. They are both perennials meaning that once planted both hop plants and grape plants will live for many years. They both have a dormant period in winter. The vital difference is defined by how they grow. I think the easiest way to remember the difference between vines and bines is when you see how each one grows. A grapevine, ‘Vitis’, has smooth woody stems which climb using tendrils to cling tightly to any support. The resulting woody framework of stems will last throughout the vine’s life. The stems do not die back to ground level each year. A hop plant ‘Humulus lupulus‘ on the other hand does things differently, it dies back to ground level each winter, therefore it is herbaceous. The Shorter Oxford Dictionary’s definition of Herbaceous is “not forming a woody stem but dying down to the root each year.” Spot on. However, because it lives for several years it is a perennial as well, consequently it is a ’herbaceous perennial’. Many of our cottage garden favourites are herbaceous perennials, for instance Aquilegias, Astrantias and Delphiniums. 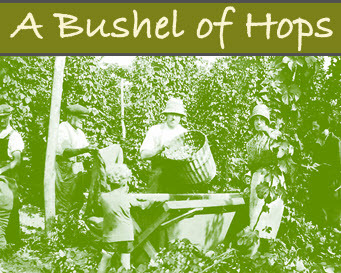 Each year a hop plant will produce brand new stems or bines. Each bine has hairs growing backwards from the tip which help it to stay in place as it wraps and twines itself up and around any support; it is these coarse hairs which scratch your bare skin. Hop bines will only twist themselves clockwise around a support as they follow the sun, unlike runner beans which climb anti-clockwise. You can see hops being trained here. 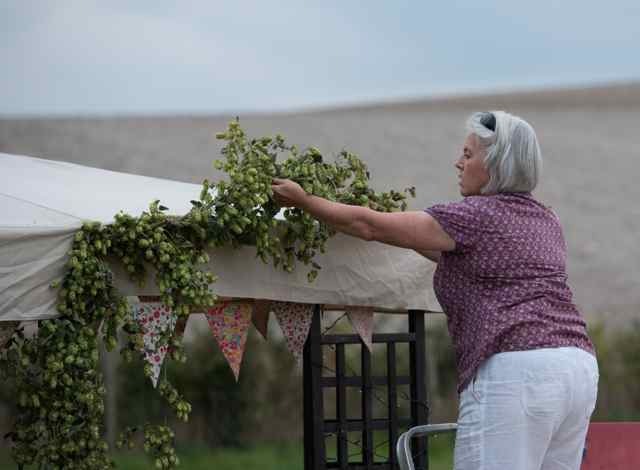 Dried hop vines v dried hop bines – what’s the difference? well a grapevine is a woody perennial vine and a hop is a herbaceous perennial producing new bines each spring. Botanical correctness aside, dried or fresh hop bines make stunningly easy, user-friendly decorations. 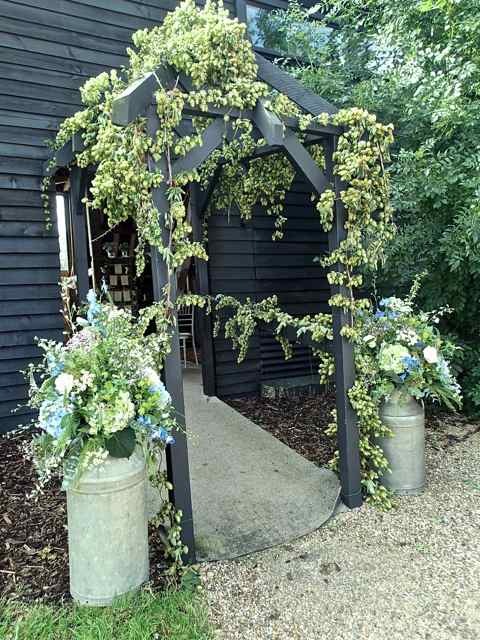 They are ideal for weddings if you would like some wedding ideas using hops you can visit my pinterest board. 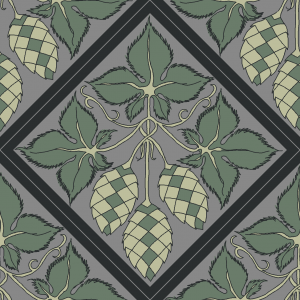 Different varieties of hops will vary, some offer a dense froth of small hops when dried, these often compliment the atmosphere in a cosy country pub. Other bines will grow in fine neat lengths with larger cones ideal along the top of a welsh dresser or for a beam in a low ceiling cottage. Some varieties have red stems and others green stems, Individual hop flowers can be tight like a Brussels sprout, some dark green, others soft and light green, and some even have turned up tips like tiny Chinese lanterns. 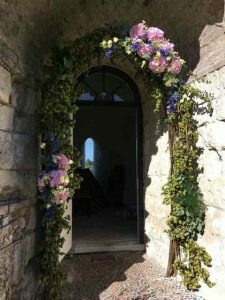 These gorgeous archways of hops and flowers were arranged by Lucy Gribble. 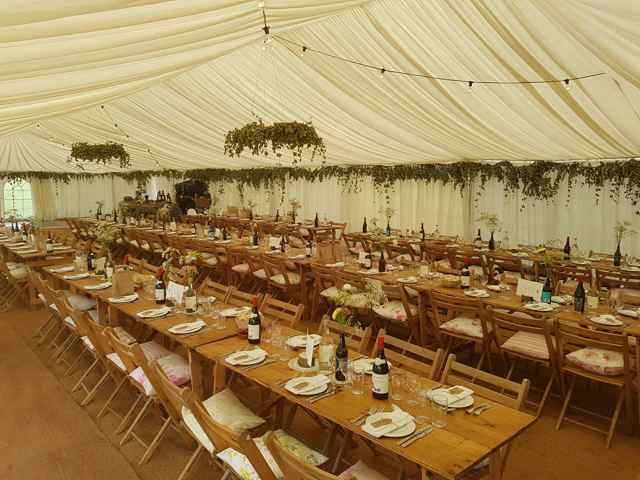 Lucy uses a traditional barn as her business base, a beautiful setting for a wedding. 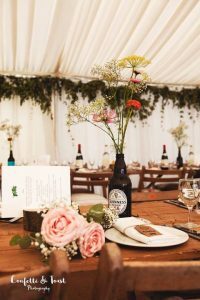 A marquee decorated for a country wedding using hops with fairy lights entwined, classically simple, no glitz but beautiful and oh so classy. Thank you Lucy, Confetti and Toast, Hannah, and Josie for these gorgeous photographs. We only sell fresh bines direct to the customer via the contact page on the website, that way we know customers are happy with them and the bines are taken straight to where they are needed. Special orders can be taken before or during harvest, we also also take orders for bines to be kiln dried to preserve their colour for collection later in the year. If you have an autumn 2018 wedding planned or want some for next Christmas then again please order via my website where orders can be taken for 2018. Dried hop vines v dried hop bines – what’s the difference? well like the song says, it does not really matter as we will know exactly what you mean! Last but no least a huge thank you to everyone who has purchased my hops. I appreciate your support and wish you a happy Christmas whatever you are doing and may 2018 be a super duper ‘top of the hops’ year for brewing.